The Stealth 240 Carbon quick-lock avalanche probe features the easiest and fastest assembly on the market, with no loose cable to cause hangups. The top segment stealthfully nests inside the next probe section, reducing the number of segments and size of the probe bundle when disassembled in your pack. 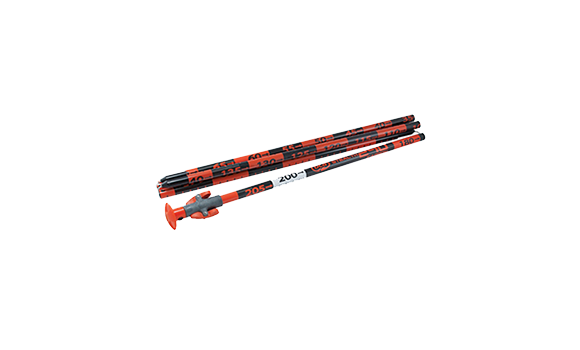 Equipped with laser etched depth markings for measuring snowpack and/or victim depth to determine the dimensions of the excavation area before shoveling. Stealth probes are built to last and save valuable seconds during an avalanche rescue when time matters.